Well, it’s no secret that I like to make all kinds of bags. 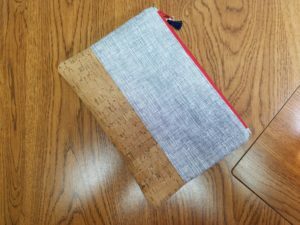 The other thing I like to do is to experiment with different techniques and fabrics. The most recent experiment has been with cork leather. 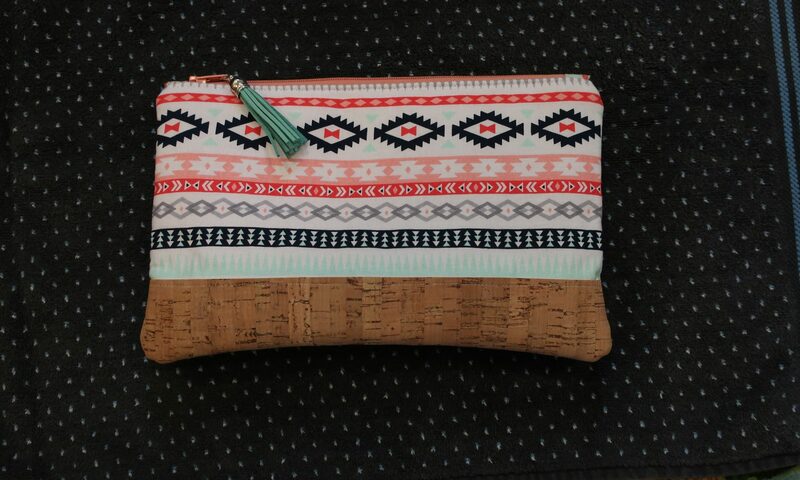 This is a leather type fabric made out of cork. 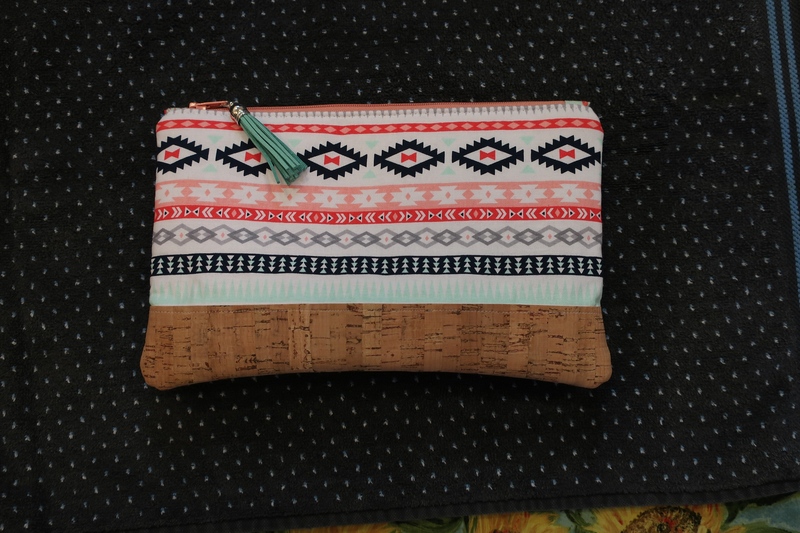 Cork leather is vegan and eco-friendly. It it made from cork that has been left to dry for 6 months after harvest and then boiled, steamed and pressed into blocks for slicing. It’s very lightweight and water resistant. There are a number of suppliers on the web as well as Etsy and Ebay. I found an offer on Massdrop and decided this was the time to try it out. It comes in a sheet and was shipped in a tube. 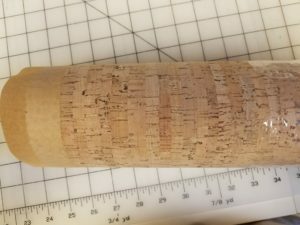 I have the remaining piece rolled up and stored on a shelf. it was fun to sew with. It’s very much like other fabrics. I did use a walking foot but I’m not sure that would really be necessary. One thing that I didn’t think about was if I used it at the bottom of a bag, it is bulkier and not as easy to turn the bag right side out of to push the corners out. 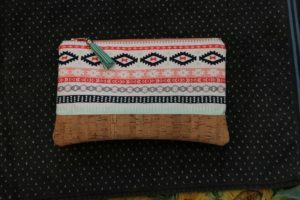 The little glasses case was more difficult that the zipper pouch due to the smaller design. This is the first experiment that I made for myself. 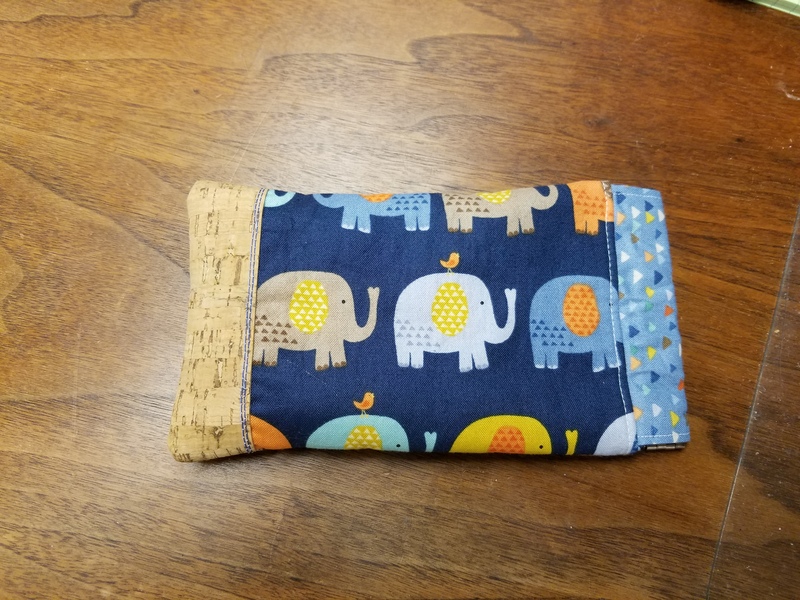 A glasses case with a pinch type opening. This was my second try. A graduation gift for a my cousins daughter. 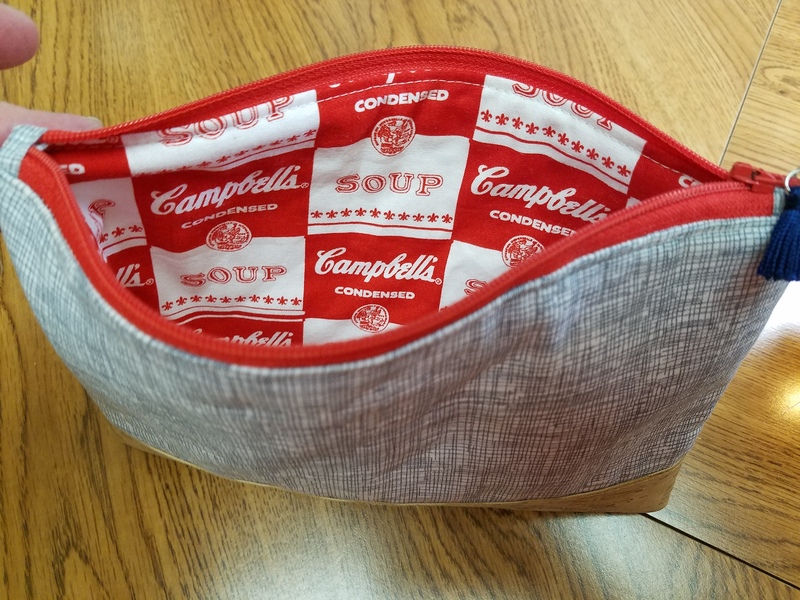 Their last name is Campbell so that’s why I used Campbell soup fabric for the inside. The last was for the son’s fiance. I think she was surprised and pleased. It’s too bad I forgot to take a picture of the inside because she really loved that. It was fabric with little lobsters on it. Can’t everyone can use a zip pouch of two?